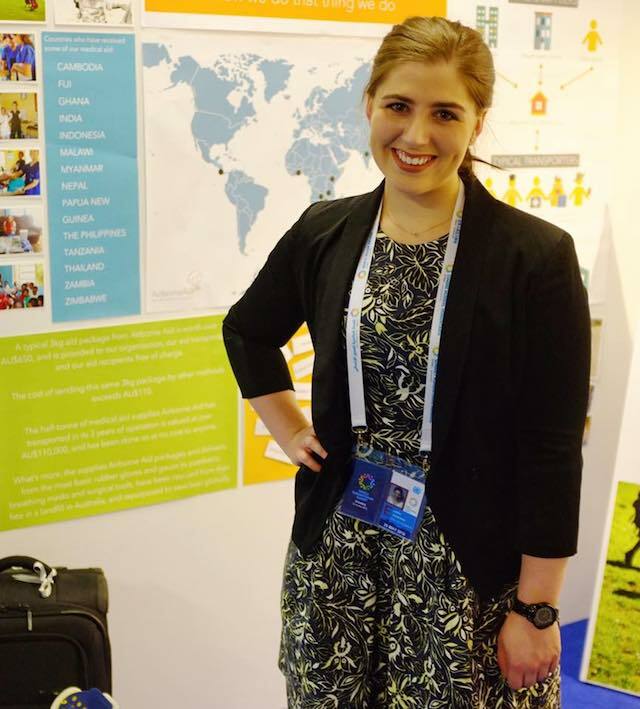 Laura is the genius behind Airborne Aid, a charity she co-founded when she was a 22yo Medical Student studying at the University of Adelaide. Airborne Aid takes out-of-date and surplus medical supplies and equipment and delivers them to third world countries who desperately need anything and everything. We are talking bandages, gauze, antiseptic, gloves, face-masks, and the list goes on. 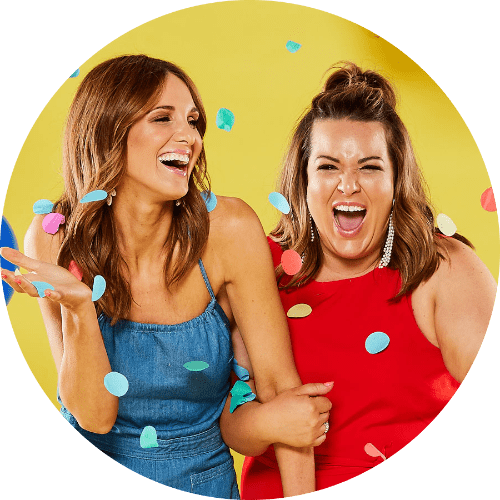 Laura coordinates packages with Aussies, who are already travelling to these countries, to take with them in their personal luggage – ultimately keeping the costs down. Laura, this is amazing, how did this start? You clearly saw wastage, and then a need, but how did you pull it all together? In 2012, a friend and I travelled to Arusha in Tanzania to undergo an elective medical placement. We were early in our medical school training and we wanted to travel and gain exposure to a different sort of Medicine compared to what we would soon to be exposed to in Australia. We undertook the placement through Work the World, a medical elective company. Travelling to Africa certainly isn’t cheap, and we thought if we were going to travel all that way, we wanted to make sure we made the most of it. We applied for a $1000 aid grant from Insight (a global health group associated with the university), and were able to use the grant to purchase medical supplies and resources for the community. We also contacted local suppliers and hospitals to collect suitable and much needed supplies. We ended up putting together just over 15kgs of medical supplies. When we arrived at Mt Meru Hospital in Arusha, it was certainly a shock to the system, and put into perspective just how lucky we are in Australia to have the healthcare we have. We donated our supplies to the head of the hospital, and he was incredibly grateful. He reported to us that we were the 4th set of students to ever donate to the hospital. Now this is a hospital that had been receiving medical and allied health students from all over the world for the last 6 years, from various different elective organizations. We were very surprised that so few people had brought over supplies. I tried to think of why this was – was it travellers not having enough time? Not wanting to fundraise? Not knowing how to obtain supplies? Regardless, I thought it was something we could change. I thought that if we could potentially make this process easier for people in the future, then we could transport much needed medical aid all over the world. 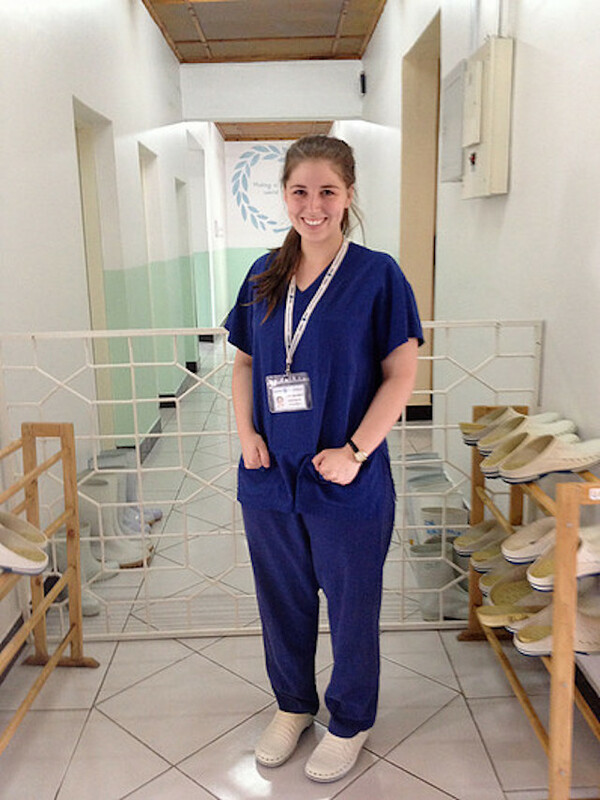 Every year, many medical students and allied health students travel abroad to undertake electives or volunteer placements. I thought we would begin by targeting this group. When we travelled, we used our spare luggage room in our suitcase to transport the aid – because how often do you fulfil that 23kg allowance when you travel? If our travellers could utilize any spare space in their own suitcases then they could potentially be transporting aid at zero cost. We approached Rotary – Donations in Kind, which is an organization that currently collect out of date and surplus medical supplies, and store them in warehouses all over the country. Rotary put together these supplies for large scale donations – shipping containers etc, mainly for sporting or church groups that want to make a donation to a location abroad. We approached the Rotary manager, explaining that we were thinking of sending much smaller scale donations with some international travellers – medical students undergoing electives abroad. The Rotary – DIK manager in Adelaide was incredible supportive, and happy for us to use the supplies he had in the warehouse. I also started collecting supplies from Hospitals and Clinics around Adelaide. Being medical students, you travel all around undertaking placements, so I made a habit of asking any and every clinic I attended. So now that we had a source of supplies, and we knew we had travellers, we needed to establish the link. I started with a basic social media profile – a simple Facebook page and email address. We began by promoting it to family, friends and on our medical students’ society social media pages. We had an overwhelming response. I wanted to create a website, but didn’t know how, and so approached a few companies to assist. Unfortunately they were all charging large fees, which I didn’t have so I sat in front of the computer for 12 hours straight and created the page myself from scratch. Certainly learnt a lot about domain names and website development very quickly! I managed to create a basic website with an online form, where travellers could log on and tell us where they were going, what they were doing, and how much aid they were willing to transport. And that’s how AirborneAid was born. We have grown a significant amount over the last 4 years, and hopefully will continue to do so. We now have established teams in NSW and VIC, with emerging teams in WA, QLD and TAS. We have transported just over 1100 kgs of medical aid, at an estimated value of $238,000, for no cost. AirborneAid even had the opportunity to present at the United Nations World Humanitarian Summit in Istanbul in 2016 – which was an absolute honor and privilege. Hopefully we can continue to spread the word and grow! My ultimate dream would be for every international traveller to be an aid transporter. Do you visit the countries you supply to most often? Tell us exactly how the supplies get sent over and how they directly help the communities? Unfortunately due to university and work commitments, I’ve only been able to deliver two of my own AirborneAid packages. But seeing the photos from our travellers, and hearing their stories, certainly makes up for it! A traveller contacts AirborneAid and completes the form on the website. The first thing I look at is the location. Most of the travellers are already going to a clinic or hospital, so their receiving location is identified. However, some travellers are heading away on holidays or for work of another kind, and don’t have a receiving location in mind. I research their location and contact local clinics or hospitals to see if they are interested in receiving medical aid from our organization. AirborneAid has now established a good database of clinics all over the world which makes it easier for our future travellers. I then contact the receiving location, and send them a copy of the current stocklist. It’s important that our donations are tailored, and exactly what the location requires. The receiving location then returns to us a ‘wishlist’ of supplies. I, or one of my interstate colleagues, prepares the package based on this list, and the kilogram amount listed by the traveller. The package is then delivered to the traveller, who packages the items into their own suitcase. This enables the supplies to be transported at zero cost, directly where they are needed. We provide a list of items to every traveller, so that they know exactly what they are transporting. And we never supply any pharmaceuticals or prohibited items that could cause trouble at customs. The traveller then makes the donation on their trip. The receiving location signs a form to state they have received the supplies, which is then returned to AirborneAid. The service is absolutely free. Zero cost. Zilch. And we are run completely on volunteers. On another note our entire management team is female. Are there any red-tape hassles from hospitals or clinics when you request supplies? Initially I thought this would be the hardest part, but the Australian community is incredibly generous. Every one approached has been more than happy to donate supplies they no longer require. Most people like the idea that these supplies are not ending up waste. Lots of donations are received from Government Departments and Private Companies who are required to update their first aid kits regularly – they previously would just be throwing away unused, in-date supplies! This was a huge source of supplies I didn’t expect when starting out. I try to make sure to send our donating groups photos or reports from our travellers so that they can see what their contribution has achieved. How can people get in touch with you to a) be the courier (not the Schapelle kind) or b) donate items? This is such an amazing way to give back to the world, do you have a feel-good story for us from any of the recipients? AirborneAid is my absolute passion, and hearing stories from our travellers is hands down the best part about this, making everything worthwhile. One particular story that comes to mind was from a young medical student who was heading from Adelaide to The Philippines. She was working in a local paediatric clinic in Ilolio. The clinic had requested basic first aid equipment and so I had prepared her a 3kg package with items like Gloves, Gauze, Alcohol swabs, masks etc. At the last minute I had managed to get a hold of some paediatric oxygen masks and thought I would include them. When she returned from her trip she reported that on her first day she arrived, she had handed her donation to the head nurse on the paediatric ward. In this ward they had been making their paediatric masks out of cardboard. Within 30mins the masks we had provided had been washed and were being used in the paediatric resuscitation bay. They cost us nothing to obtain, nothing to package, nothing for her to transport them, and they were able to make such a difference in a clinic that was so resource-poor. Even if our packages can save one life, or improve the quality of life for one patient, then we have achieved something. If anyone reading this wants to help but isn’t travelling overseas – what can they do to assist Airborne Aid? At the moment, the biggest way to assist AirborneAid would be in sourcing supplies and collecting them from donating locations. That’s the part that takes the most time! We are in the process of establishing our own warehouse and head office, and once we have achieved that, we will have the opportunity to take on more volunteers to assist with packaging and preparing donations. You are a global traveller, but still call SA home, what’s your favourite thing about SA? Can I say the chocolate? Fruchocs. Haigh’s. Need I say more? Oh and cheese. I love our cheese.